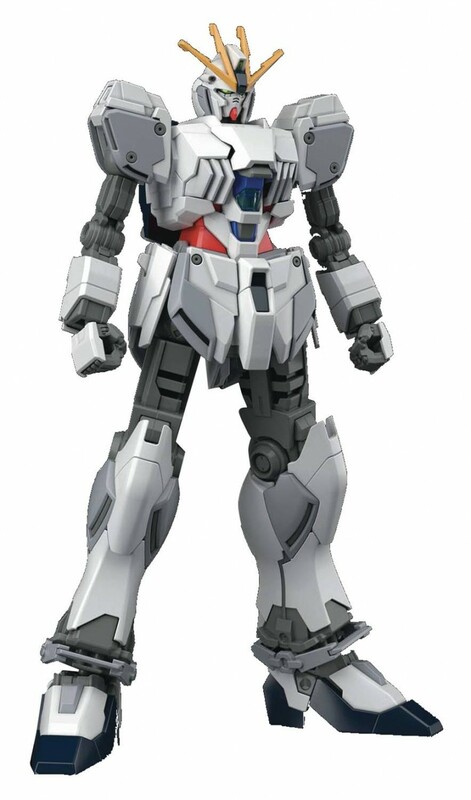 A test type unit created exploring technologies that would eventually lead to the Nu Gundam, the Narrative Gundam from Gundam NT is featured here with its A-Packs equipment used in Operation Phoenix Hunt! Narrative features new articulation gimmicks in its construction and features a large amount of detail from molded missiles in the missile pod hatches, large propellant tanks, and beam effects. Includes 2 beam sabers, dedicated, display stand, stands for its cannons, and effect parts. Runner x 30, Stickers, Instruction Manual.